In operation from 1892 to 1908. Used for storage by the City in the 80’s, gas pump, pipe, signs and debris. 1981. The initial jail was built in 1892. Originally our building consisted of a wooden structure that housed the prisoners. In 1891 four steel cells were ordered from Mason and Curtis of Helena Mt. These cells were ordered in response to a lawsuit brought against the Jail by the city. The lawsuit stated that the jail was insecure and a disgrace to the city due to the condition of the building and a large hole in the floor through which a person could escape. Once the cells were finished and installed, a brick building was erected around them to increase security. 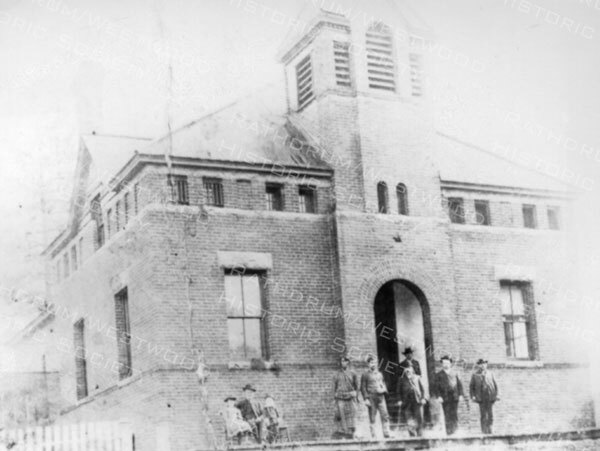 By 1892 the Kootenai County Jail had been completed. The jail now included a total of eight steel cells, the brick enclosure and the building that stands there today. Eight people posed in front of the Rathdrum brick jail. circa 1900. After the County Seat was moved in 1908 the Jail closed. 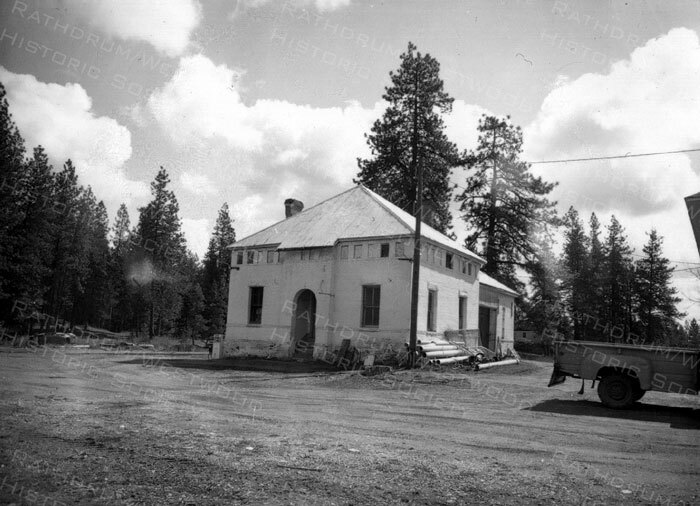 The building has since been used as library, maintenance shop and at one point was the City Hall. The Jail is now a museum available to the community. We receive visitors from all over throughout the summer and do private tours for groups of all sizes. All of this is possible thanks to our volunteers and members!